Limited Edition Release - Chart Only, 60 pages full colour booklet. Available for pre-order. Our second delivery of charts is on its way, this is the last shipment we will receive as the charts are now sold out. The chart is available in store now. 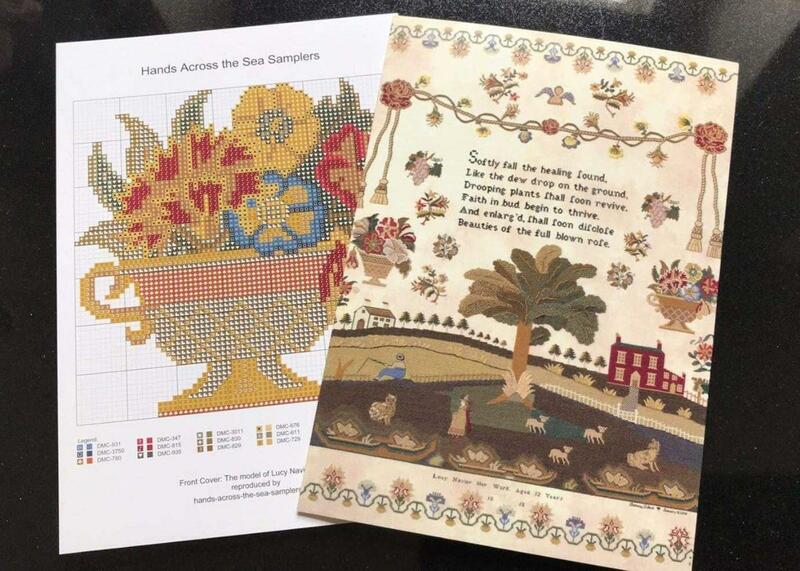 We have a limited number of charts available; and will be unable to re-order once sold. 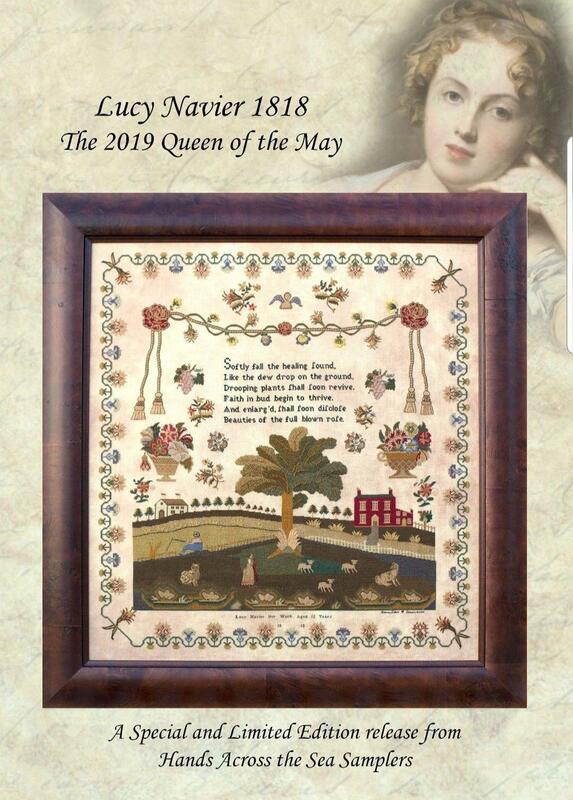 Queen of the May 2019 is a striking pictorial needlework sampler stitched in the Regency era, a period in time when romanticism, elegance, high society, art and literature flourished. Executed in a palatte of 26 glorious shades of silks on linen. The stitches are cross stitch over 1 and 2 threads, tent stitch, satin stitch, stem stitch, Algerian Eyelet, Long Bullion stitch and French Knots. Rated suitable for Intermediate and Advanced stitchers. You can order the chart only, or chart and chosen thread pack (multiple skeins of some colours are required). Please choose from the drop down box. If you would like to add linen to your order please let us know via email or call the shop.